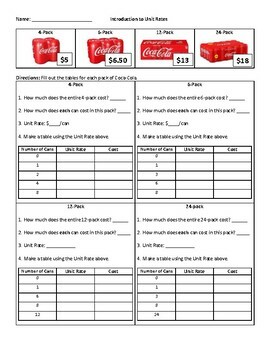 This one-page resource gets at the true purpose of unit rates as kids determine the best "deal" of the coca-cola packages. I have used this as instructoinal notes, partner practice, and homework. Students very much enjoyed it! It can be used throughout your unit rates lessons or as an introduction.